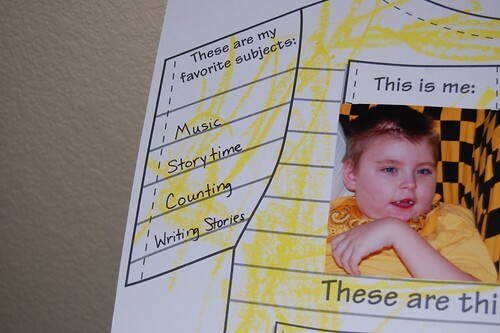 When we went to the school for Max's IEP meeting, his classroom teacher gave him some "homework" to do, to share with the rest of the students in his class. Yesterday, we started it by letting Max color all of the t-shirt and write his name in red, his choice. 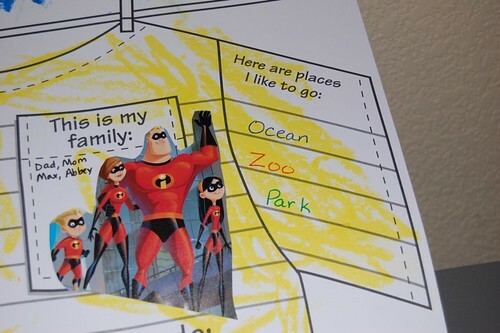 He also chose blue for the letters up top. 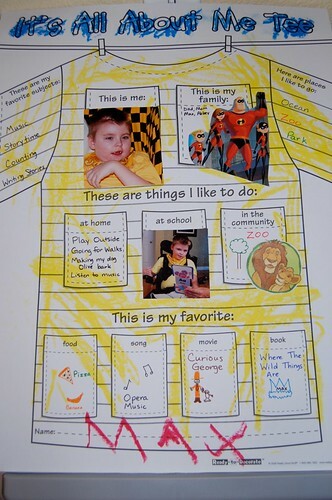 And I guess you figured out he chose yellow for the t-shirt. Thanks to Addie's Aunty Rachel who is living in Poland right now, we got some amazing crayons that are so simple for Max to use. Addie gave them to Max this past weekend, so we put them to good use on this project. I wish we could find them here...I can see that the yellow is going to disappear fast! 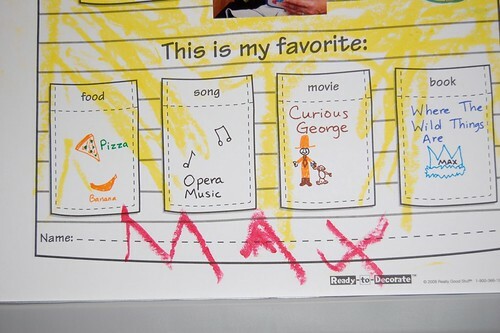 Once Max finished the coloring, he and I talked about his "favorites" and I helped fill in the rest. 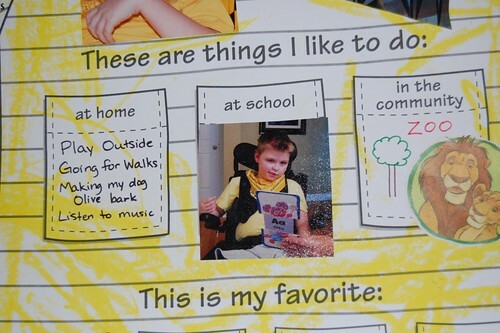 So, here it is...Max's All About Me Tee...his first school project! 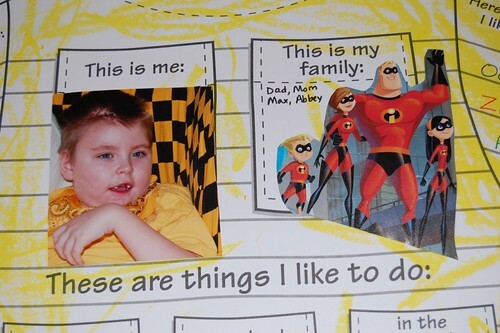 The "this is my family" picture is just the best! It really is you all!